We have expert appraisers who perform California home Appraisals & California commercial Appraisals. Our California Appraisers have been serving the North California California Area faithfully through out the years. Advanced Property Appraisers we love appraising a variety different types of real estate properties in California and the entire San Francisco Bay Area. We have local California appraisers who know how derive the value on even the most complex property values. We have seasoned residential California Appraisers who can appraise any type residential property no matter how larger or small or unique the the property is. Our appraisers in California know each of the cities we serve. Let us help you determine the value of your property today by emailing us at advancedappraisers@gmail.com or calling us at (415) 902-2735 we look forward to helping you with your appraisal needs today. Commercial Appraisers in California market areas can be diverse and challenging. Jamice Welbon has done lots of residential and commercial appraisals in the state of California during the years and studies each market area throughly for each property appraised. Fast turnaround times, high quality valuation services, great service. California commercial appraisers and California home appraisers doing appraisals in your neighborhood. We have local San Francisco Commercial appraisers who do San Francisco Commercial appraisals. We are local Bay Area appraisers who know our local markets. Doing real estate appraisals for home and commercial properties in the Bay Area is serious business. We are the number one valuation appraisal company in the San Francisco Bay Area. 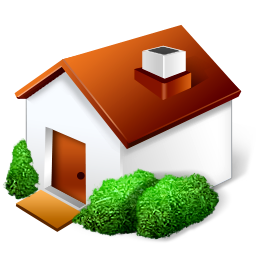 We are experts in doing home and commercial appraisals in the Bay Area. We also have State Certified FHA appraisers to appraise your property. Our local Bay Area home appraisers and commercial appraisers want to help you determine what your property is really worth. We are California appraisers, certified by the state of California to appraise all special purpose, commercial and residential buildings. We have California Commercial appraisers, California Home appraisers, California REO appraisers and, California FHA approved appraisers on staff. Among the three principal appraisers we have been appraising for over 46 years residential and commercial properties. We all have experience working as bank and fee appraisers. Let our California commercial appraiser and California home appraisers help you with your California commercial appraisal and California home appraisal needs today.